Are you looking for a quick weekend (or midweek) bake that will make a satisfying treat, dessert or lunchbox addition? 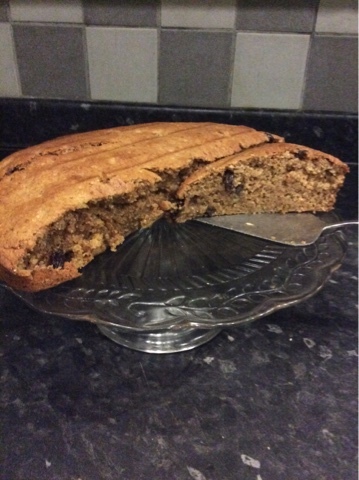 Do you have some ripe, speckled bananas crying out to be used up before they go all gooey and brown?- Well look no further! 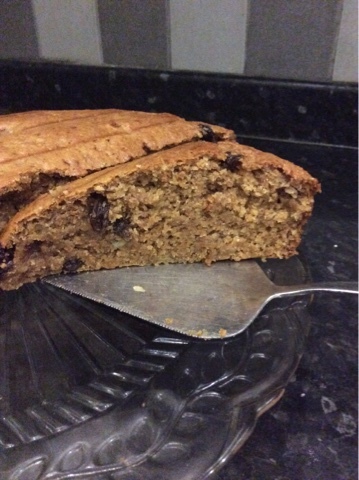 We have posted banana cake before (here), but this one is slightly different and has no nuts. Here, it certainly is the season to be cozied up on the sofa with a mug of hot chocolate and a slice of cake whenever possible. 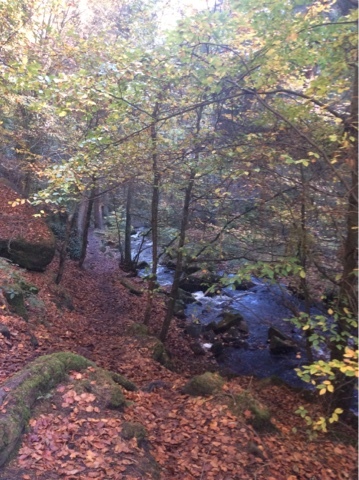 We have had our first heavy frosts, what leaves that remain on the trees are now red and yellow and about to drop and there are no flowers left in the garden; not even one single fuchsia... here is a picture of the beautiful Peak District just outside Sheffield, where we went about 3 weeks ago. 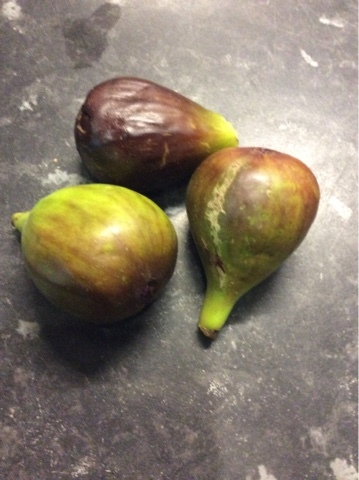 ..And here are some of the handful of delicious ripe figs we have been able to pick from our little tree in the garden. It is now all tucked up in a snug polythene shelter for protection from the cold. Perhaps some more of the figs will ripen, too! -So now back to the cake recipe. This makes a cake which yields 12 slices. Preheat the oven to 180c and dampen an 8" silicone cake mould or grease and flour/ line an 8" round cake tin. Mix the flours, sugars, sultanas and spice in a large bowl, taking care there are so lumps as raw sugars tens to clump together. In another bowl, beat the bananas, vanilla, oil and milk. Add the wet mixture to the dry mixture, mixing well. spoon into your cake mould and bake for 20-30 minutes, or until a skewer inserted into teh centre of the cake emerges clean. I think figs need specific conditions. They like long warm summers and mild winters. Our tree is a variety that was developed to withstand less than ideal weather but even so, it struggles to ripen its fruit in an average British summer!